We used watercolour paint to begin our poppy craft. 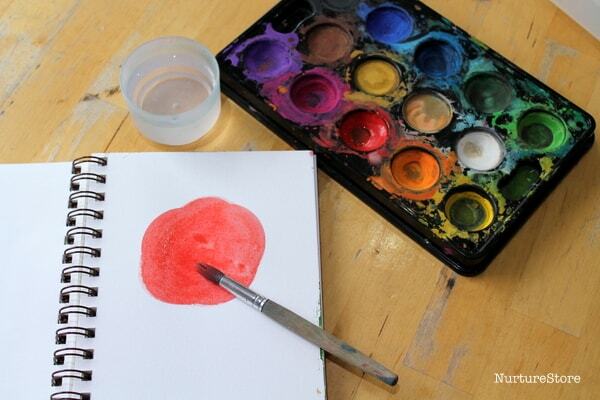 If you can, do use a good quality watercolour paper for this as it takes the paint so well and dries quickly, enabling you to move on to the second stage of the design. If you don’t have watercolour paper, use a thick card. 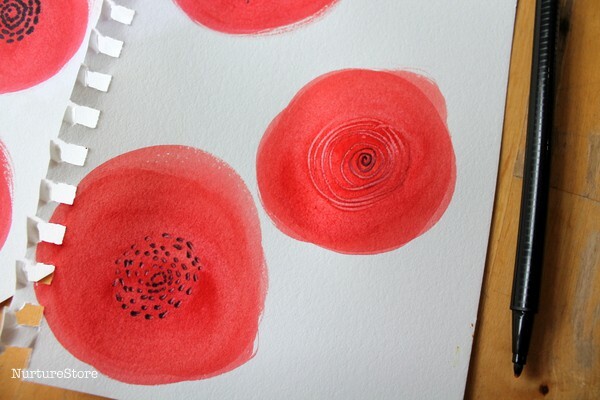 Use red paint to create circles on your paper. 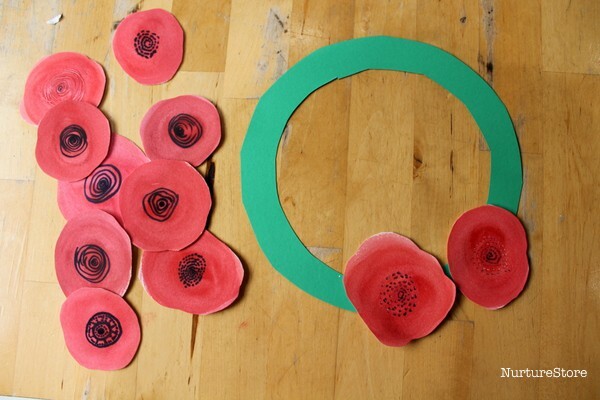 You don’t need to worry about making a perfect circle, as the slightly bumpy edges give a better poppy shape. Studying some real poppies before painting would be wonderful. 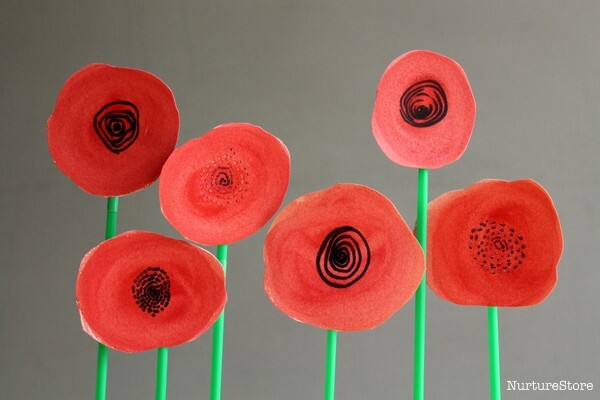 Then use a black permanent marker to make a design in the centre, to be the seeds of the poppy. Think of your black centre as a mini mandala and see what circular designs you can make. 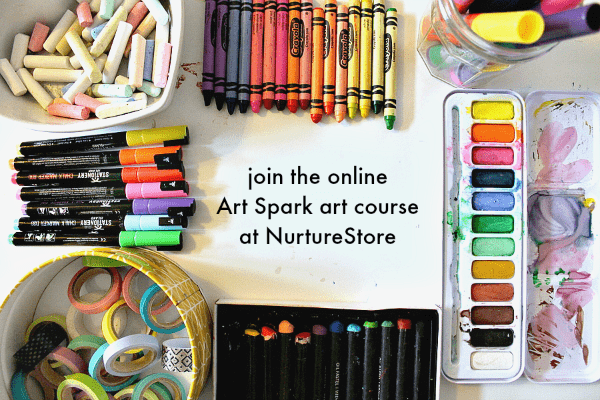 Wait until your red paint has dried before using your marker pen if you want the black to have a strong colour. But it’s also interesting to use the marker pen while the paint is still a little wet, to experiment with the looks you can create. Then, cut out your poppies. To make a poppy brooch, glue on a brooch pin so you can fasten your poppy to your coat. 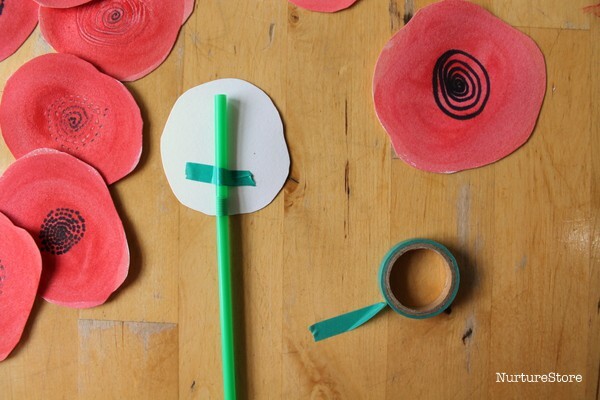 To make a poppy display, fix a green drinking straw on to the back of each poppy using tape or glue. 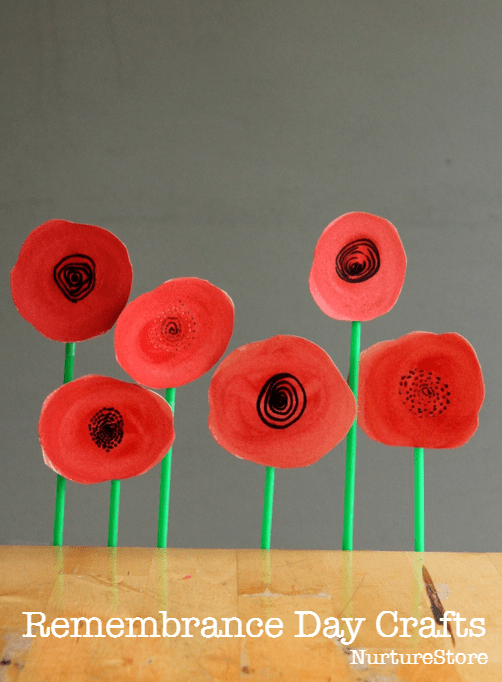 If you’re working with a group of children, each person could make a poppy to join the collaborative display. You might like to use the reverse side of the poppies to write the name of someone you wish to remember or give thanks to for their service. 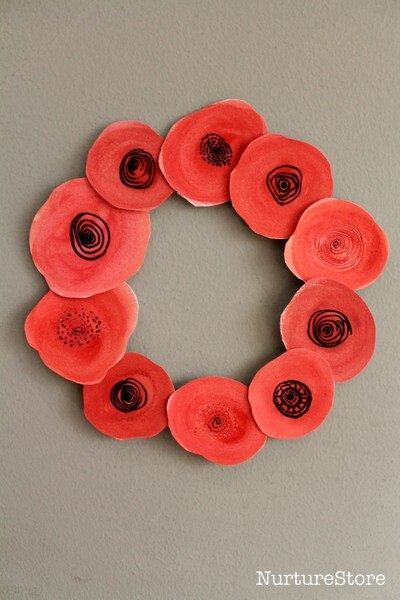 You can also use your poppies to make a wreath. Use a paper plate or a piece of card, and cut it into a ring. Then fasten on your poppies around the wreath using glue or tape. For more learning resources about Remembrance Day, you can find a free Remembrance Day learning pack and wall chart at the Royal British Legion site. Thank you. I love these ideas. Your instructions are very clear, and will be easy to follow. Thanks for the kind feedback Anne.